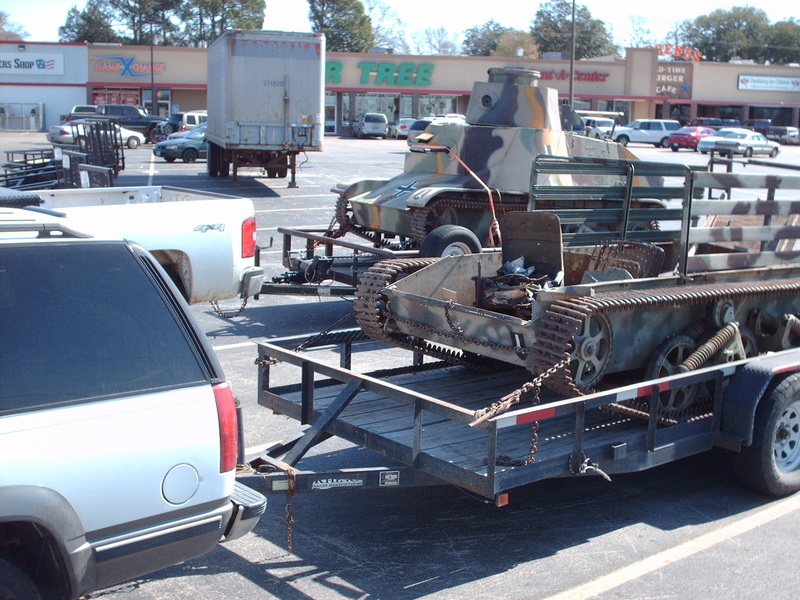 Commonly known as the "Bren Gun Carrier", there were several models and manufacturers of "Carriers". 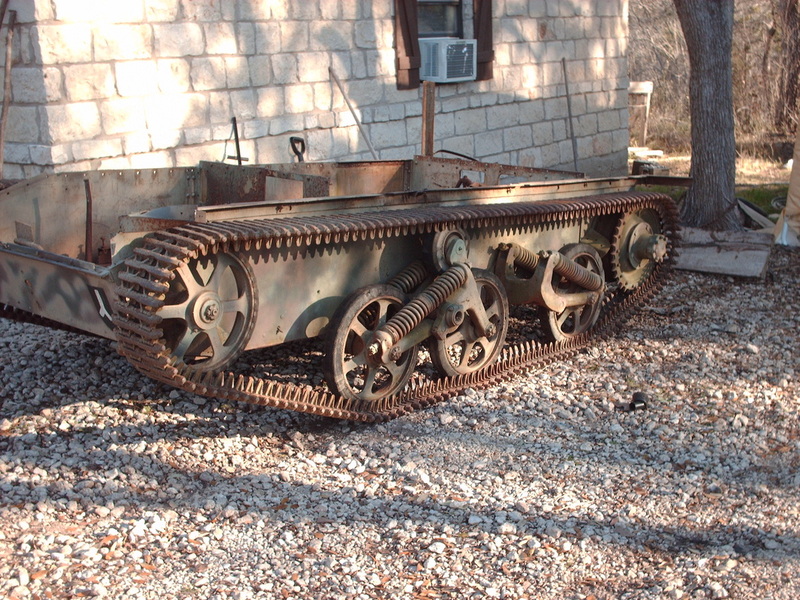 A more proper term is "Universal Carrier", as these were the most common types of carrier, and even within this "type" of carrier, there are various makes and models. 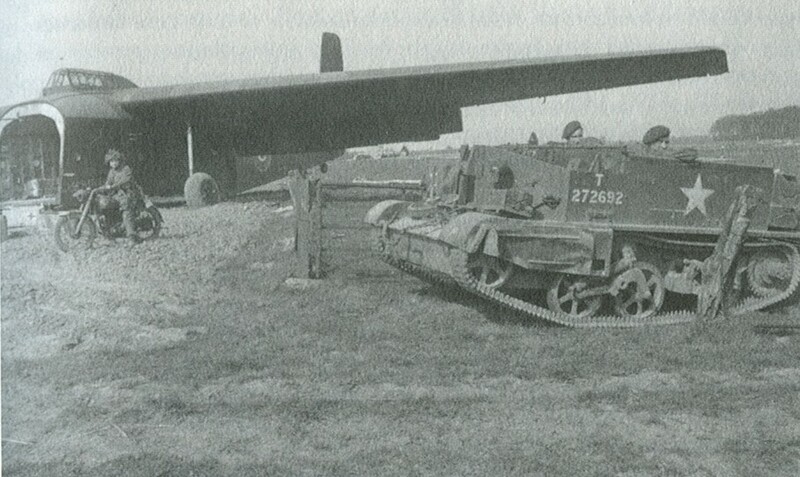 Photos exist of various carriers in service with the British airborne forces, for examples, the "Universal Carrier No. 2 Mk. II", and the "Lloyd Carrier". The photo af a carrier above is probably a No. 2 of some variation. As carriers were used by all the airborne units, it is hard to determine just what was used by whom. These types of vehicles were unique to the United Kingdom. 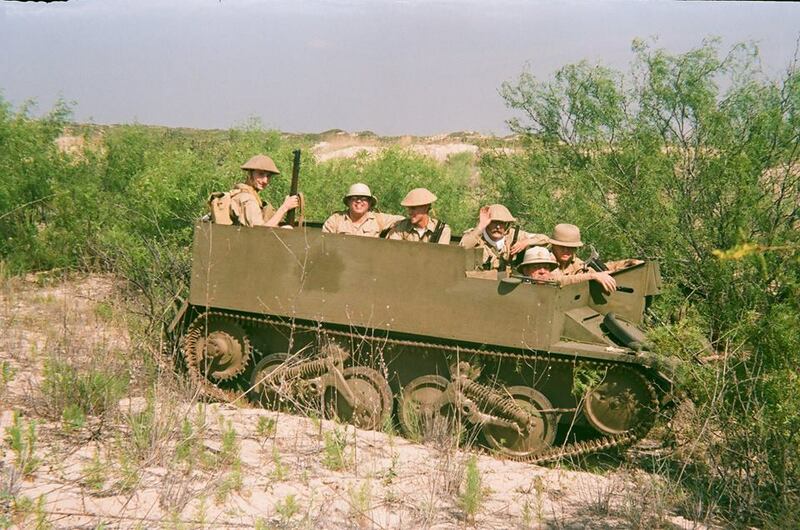 Although other armies used tracked transports, for the most part, they were armored and unarmored half track vehicles, with the odd tracked soft-skinned "truck". 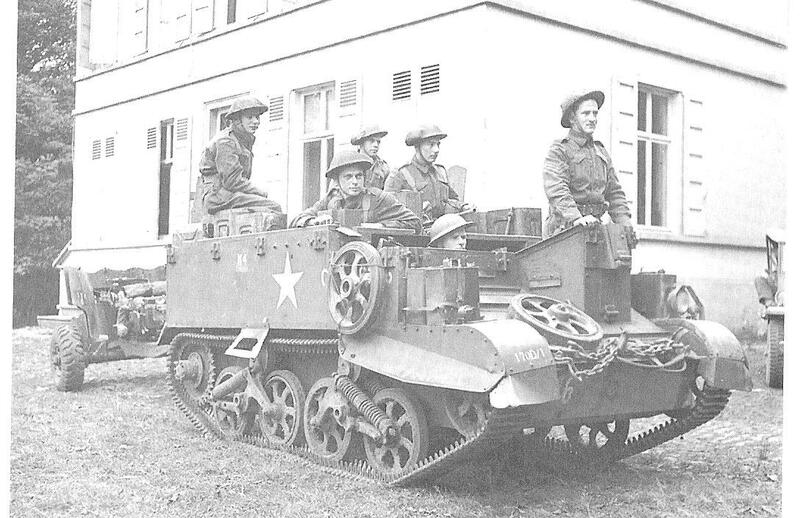 The light-weight fully tracked utility transport vehicle was unique to the UK. Prior to WW2, the British Army saw a need for a fully tracked machinegun carrier, to transport machineguns into battle along with its infantry. The new infantry machinegun of the time, the Bren Gun, was chosen as the weapon for the carrier, and thus was born the true "Bren Gun Carrier". The utility of the vehicle was appreciated, and another vehicle based on it was developed for reconnaissance, dubbed the "Cavalry Carrier". To make a long story a little less long, other types of carriers were proposed, and instead of developing a myriad of limited production specialized types, it was decided to standardize one type of carrier for multiple uses, and thus was born the "Universal Carrier". 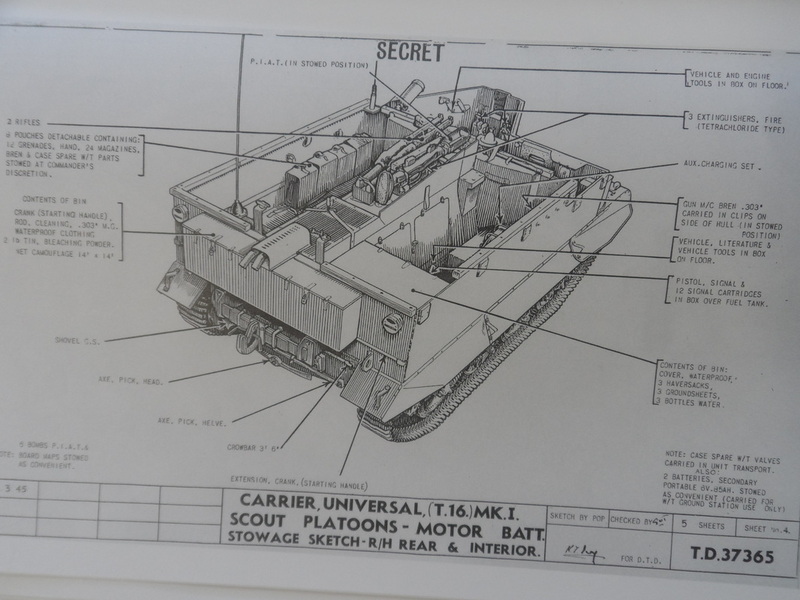 Although the carrier was often used as a combat vehicle going directly into battle in the manner of a light tank, this was not it's intended purpose, and the regulations governing its use specifically stated that the desire to press it into this role must be suppressed. 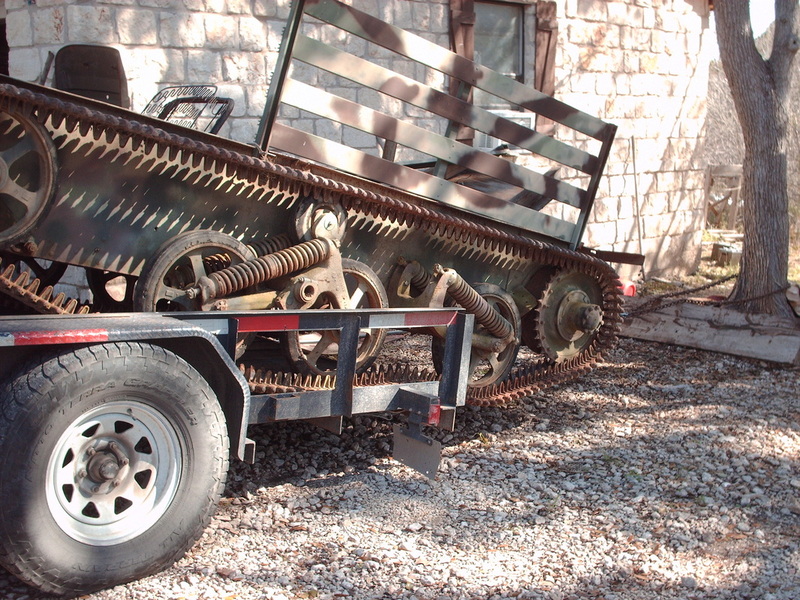 It's intended use, which was for the most part abided by, was sort of as an armored, tracked "jeep". It's mission was to transport machineguns, mortars, and other heavy weapons and loads on roads and across country to relieve that carrying burden from the backs of the marching infantry. It's armor was only designed as proof against shell splinters and small arms, and was of limited value of doing that. 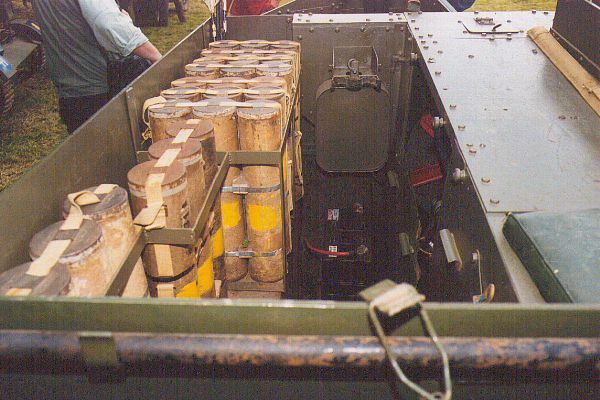 It was supposed to deliver its loads to the proximity of the fighting, where the weapons and loads would then be unloaded for use by the infantry. 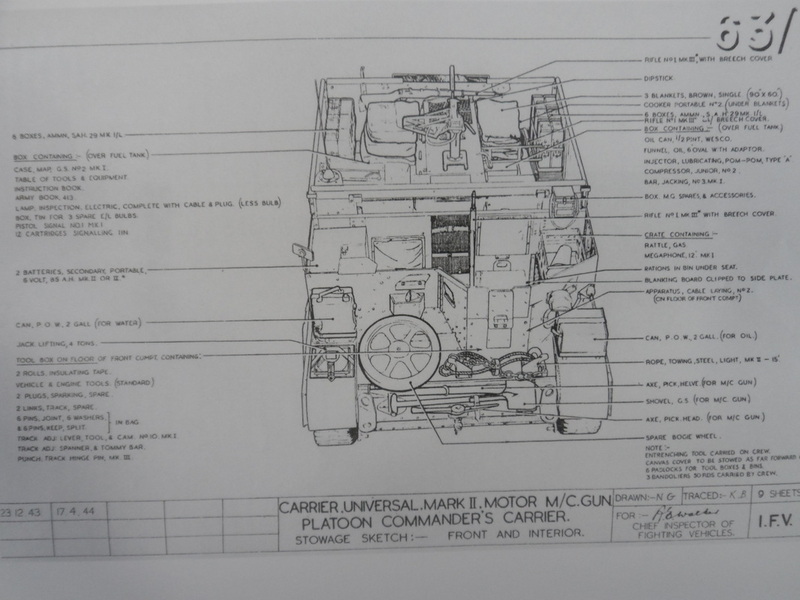 But the utility of the vehicle was such that it was pressed into any role that could benefit from it, from being a mobile artillery observation post vehicle to a flame-thrower equipped assault vehicle and artillery tow vehicle. The 6th AARR used the vehicle in it's reconnaissance squadrons and support squadron. 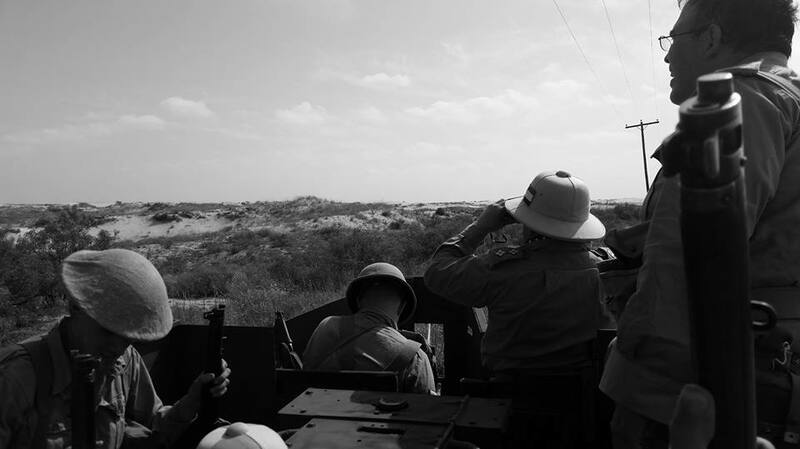 For example, with the reorganization of the unit completed after it's return to Britain from Normandy, the 6th AARR arranged it's "Saber Squadrons" (the squadrons out in front maneuvering to gain information) equipped with one troop each of Locusts, and three troops each equipped with a mix of dingos and carriers, the carriers being used to move its "assault sections". The regiment's third squadron, it's "Support" squadron, use carriers for its medium machinegun (Vickers Gun) equipped troops. 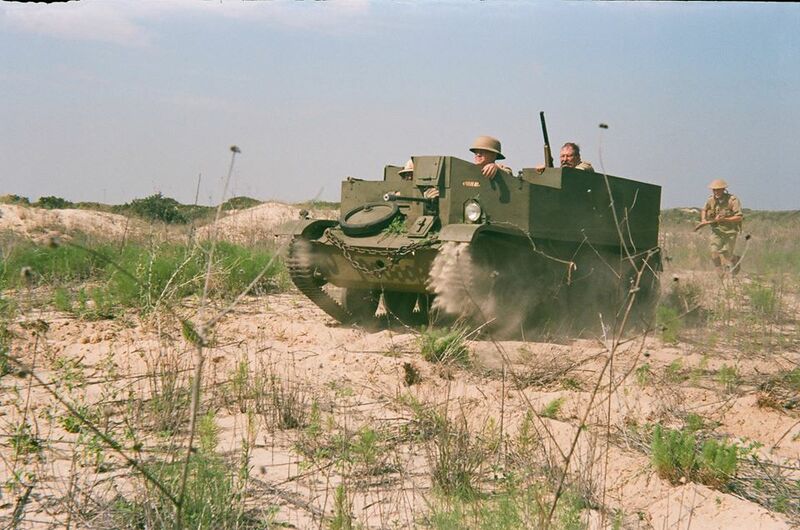 The types of carriers our club owns are a Ford Motor Company Universal Carrier Mk 1's, and Universal Carrier T-16, supplied to the United Kingdom under the "Lend-Lease" act of WW2. 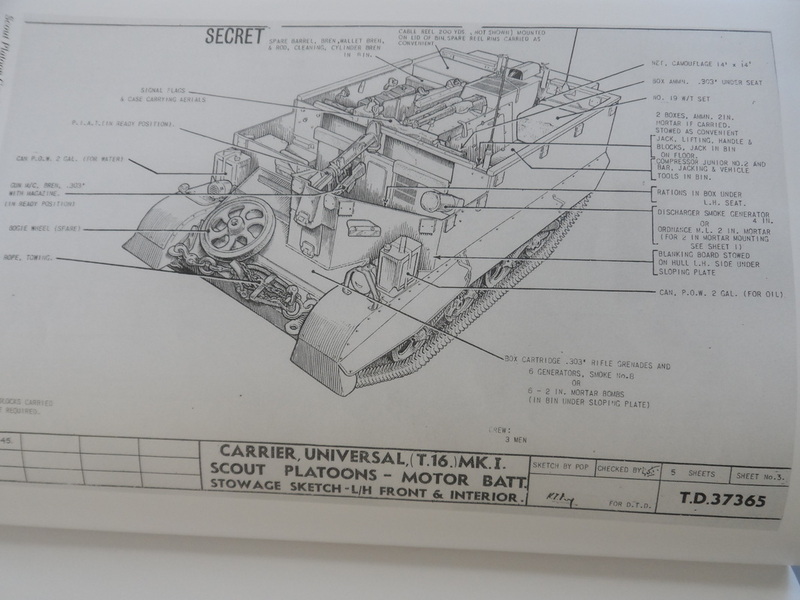 When completed, the T-16 will be equipped as a Scout Carrier, and one of the Mk 1's will be equipped as a 3" Mortar Carrier, and the other as a Medium Machinegun Carrier, as illustrated by the three sets of load plans below. The below photo at left and shows a carrier rolling out of a Hamilcar during a training excercise. 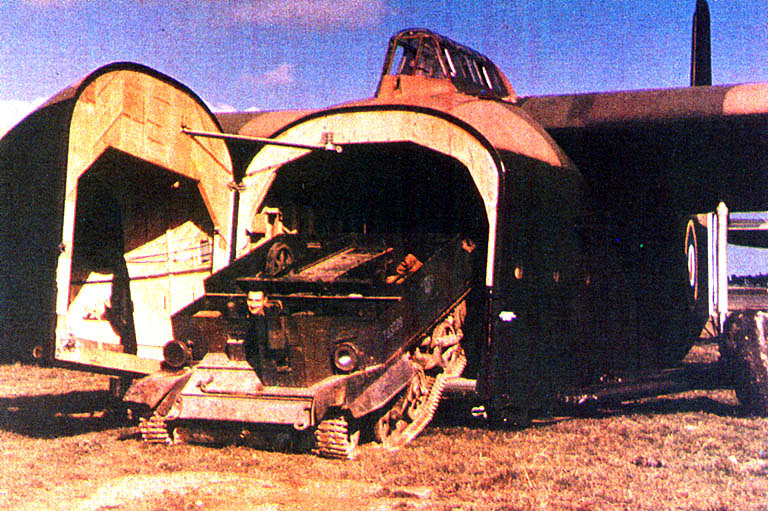 Two loaded carriers with crews could be carried in one hamilcar glider. The below right photo shows a carrier and motocycle during operation Varsity, the airborne crossing of the Rhine,, both delivered by Hamilcar gliders. The photo at left shows an airborne mortar crew in action during the Arnhem operation. 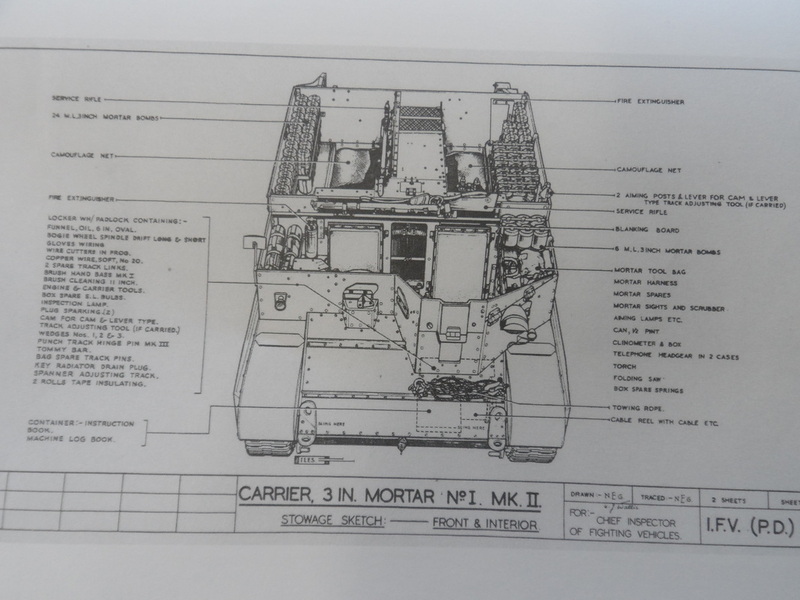 The 6th AARR was equipped with 3" mortar carriers such as the one in the three following photos. 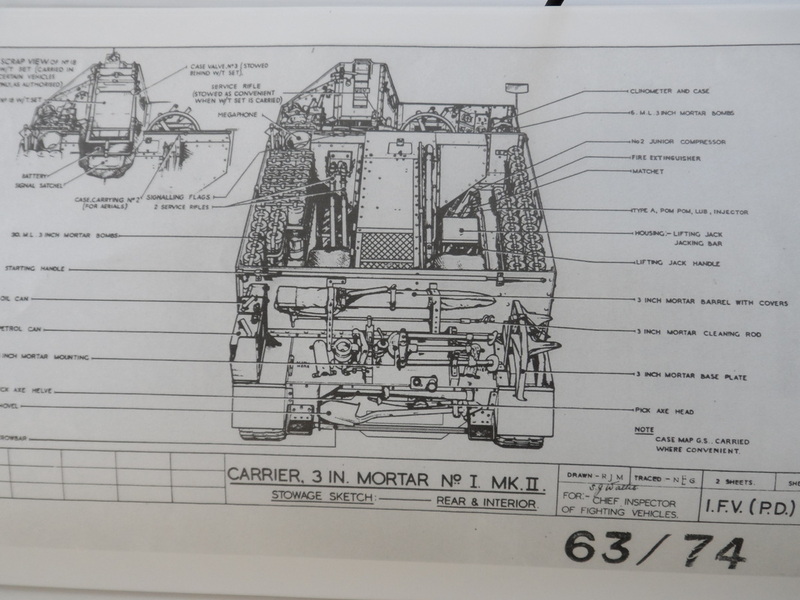 To the right shows the carrier with " mortar tube and baseplate stored on the back. The below left photos shows the same carrier, with base plate stowed on the front slope. The below right photo shows the same carrier with ammunition for the 3" mortar stowed in their containers inside the carrier. Photos of the 3" mortar carrier from the Perth Regiment. The below left photo is of vehicles of 6th AARR in Schwerin, Germany in May of 1945. Behind the Dingo to it's right and right front are two carriers of C Squadron, both equipped with Vickers medium machineguns. Note from the shade of gray in the photo that the berets being worn are maroon and not black. Also notice that crewmen of both the Dingo and the carriers are wearing RAC "Pixie" tank suits. 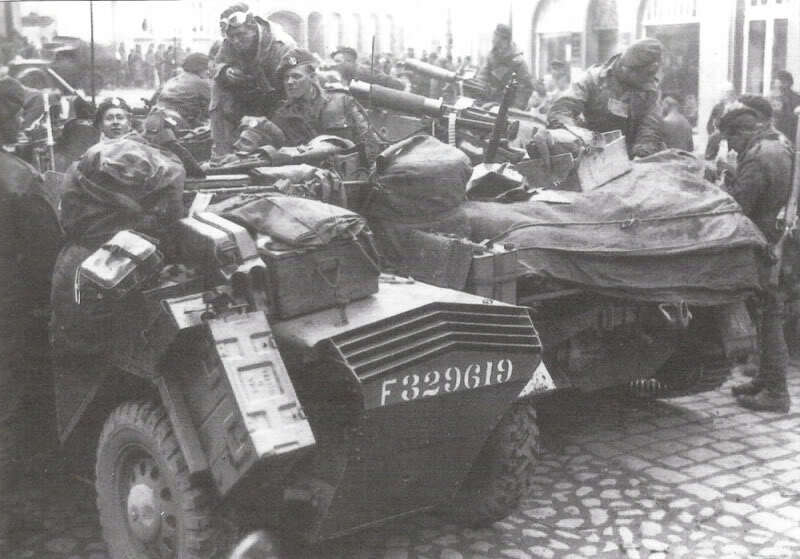 All three of the armoured vehicls are heavily laden with supplies and ammunition boxes. The below right photo is of a T16 carrier in one of its more common roles, as a towing vehicle for the 6 Pounder anti-tank gun. Photo from the Perth Regiment. To the left is the carrier the morning after unloading at its new home. 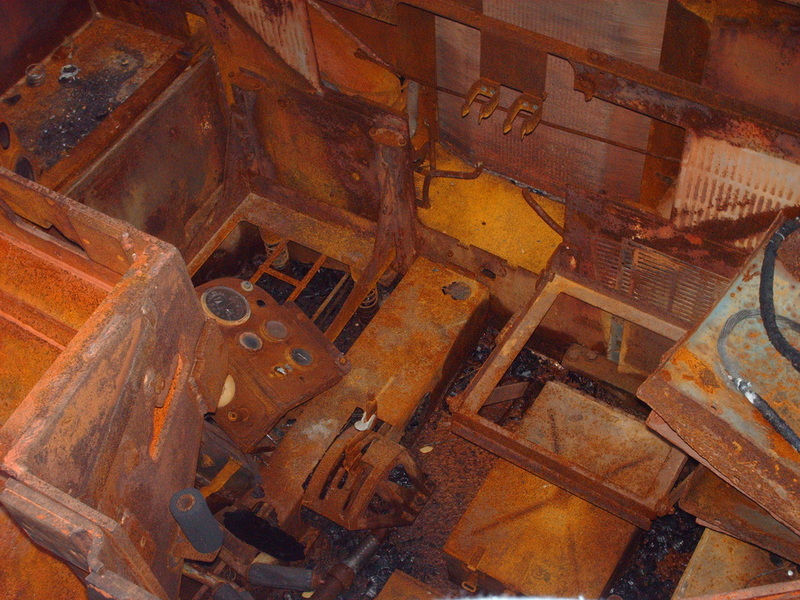 To the right is the inside rear of the carrier, with various parts laying loose. 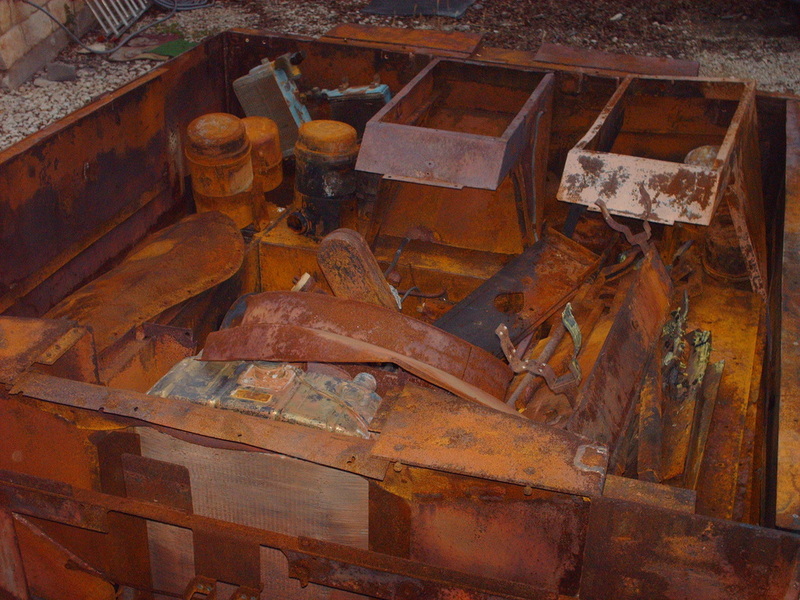 The fire damage is not evident here, just lots of rust. My pet name for her is "Rustbucket". 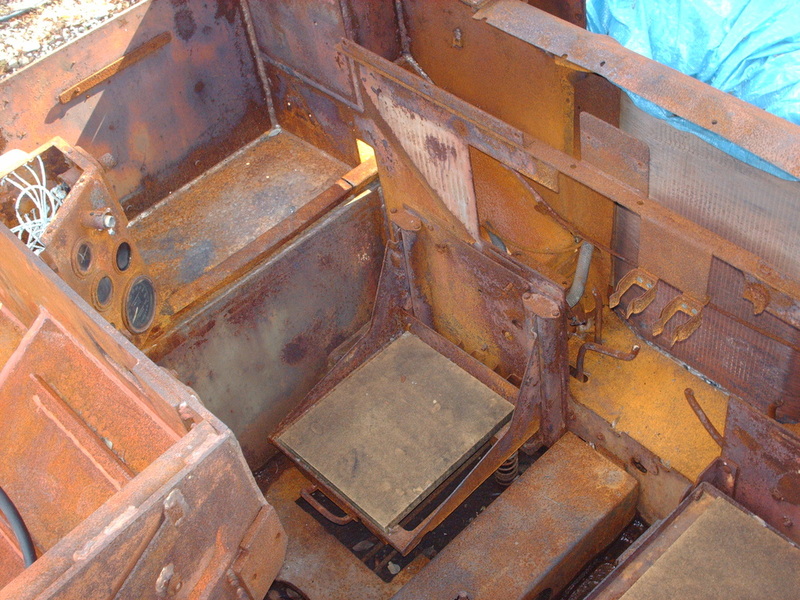 Below left is the driver's and gunners compartment. The black stuff in the bottom is what was left of everything inside that could possibly burn, and did. Below right is after an initial cleaning. Below left the restoration crew is preparing the engine for removal. Below right shows the exterior of the carrier, upper hull now rust free, primed and with an initial coat of paint to give her back a little dignity. 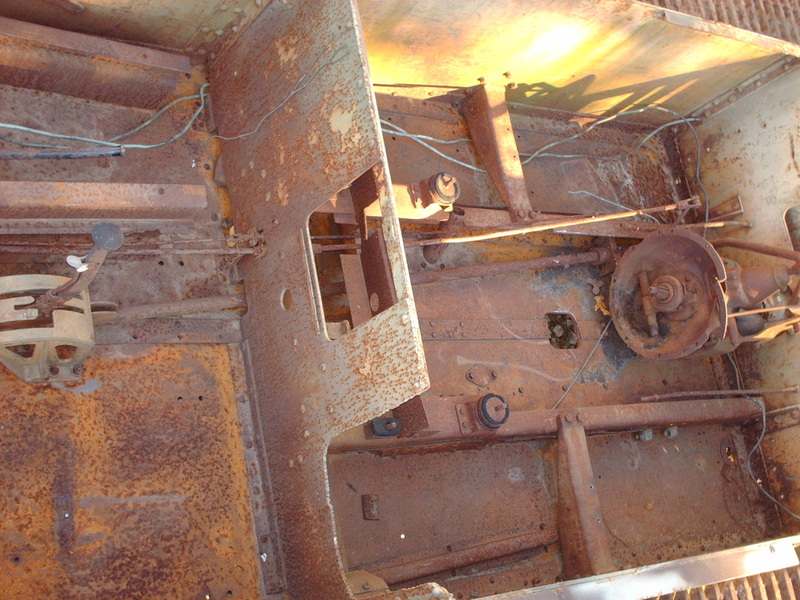 Below left, lifting the engine out of the hull. 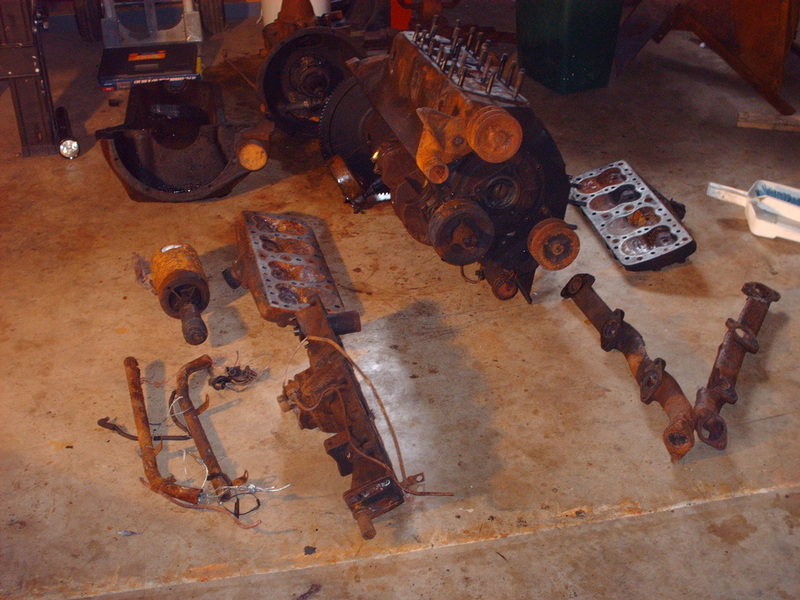 Below right, the engine out and on the floor, with disassembly begun, with pan, heads, manifolds, etc. laid out around the block. 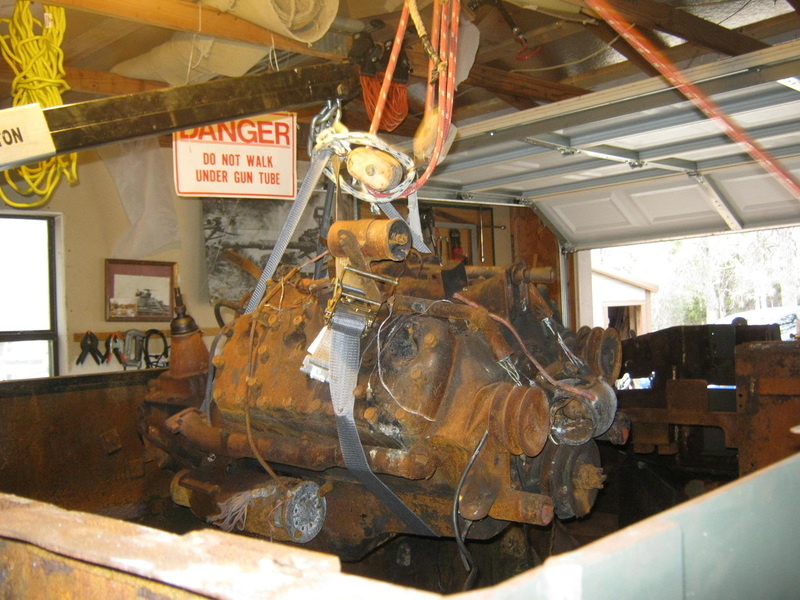 It was discovered that the pistons were rusted solid into the cylinders, but overall, the block appears restorable, with everything under the cylinders looking relatively good, considering the state of the engine after years of neglect and fire. 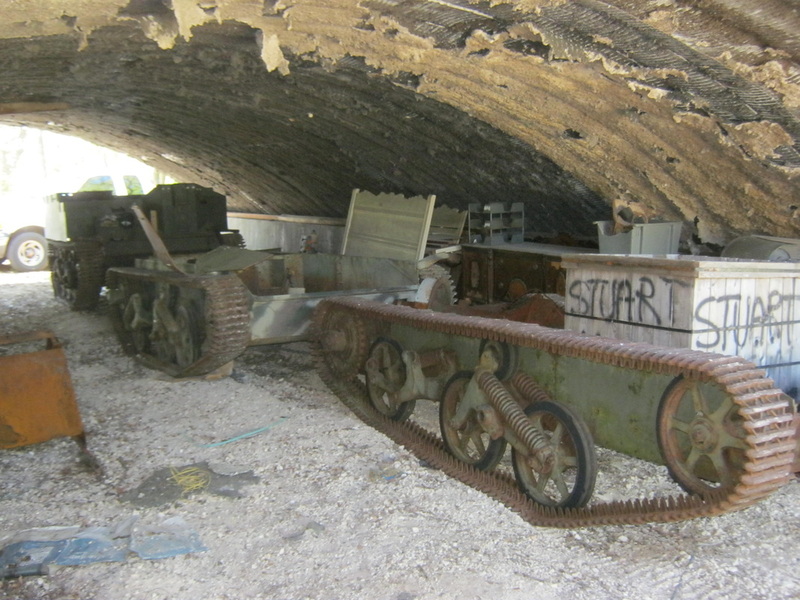 These two Canadian Mk 1 Universal Carriers were acquired at the same time from "Townsend Toyland", a company that makes documentaries and supports the film industry with military vehicles. At the time of purchase, one was (and still is for the time being) set up with a mock-up superstructure and turret of a japanese Ha Go light tank, made for the film "Wind Talkers". 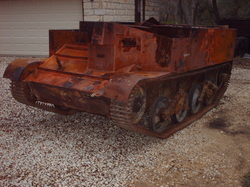 The other hull was used for 'filler' as a presumably wrecked armored vehicle for various show purposes. 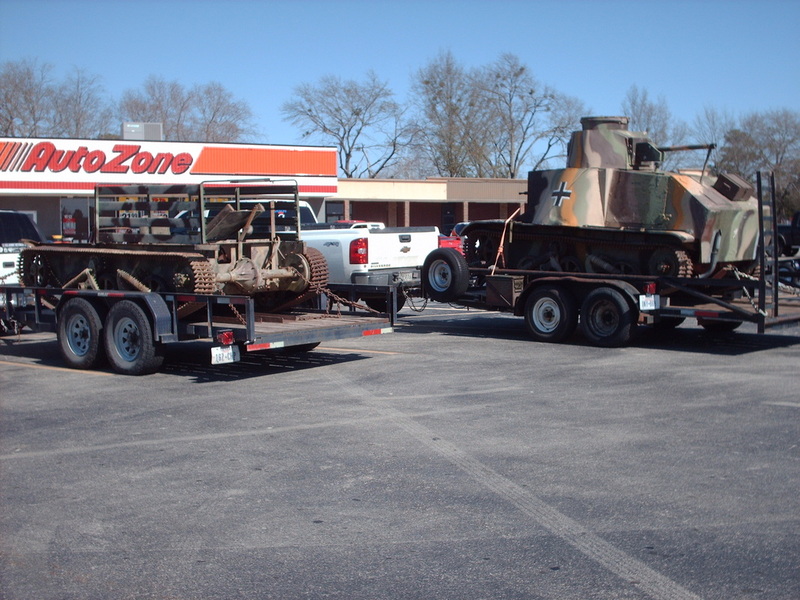 Currently, until the time comes for restoration to their original configurations as universal carriers, the Ha Go will participate in WW2 Pacific Theater reenactments, and the other hull has been moved to Georgetown and stripped of all extraneous material and will go into storage until restoration. The Ha Go will be restored as a Medium Machinegun Carrier and armed with a Vickers machinegun, and the other hull will be restored as a 3" mortar carrier, armed with a 3" mortar and bren gun. 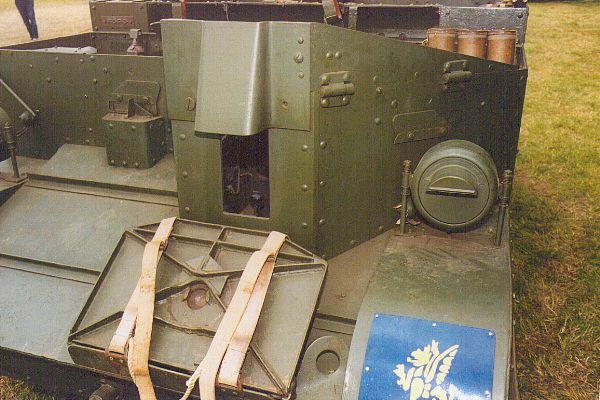 To the left and right are photos of our third Universal Carrier Mk 1. 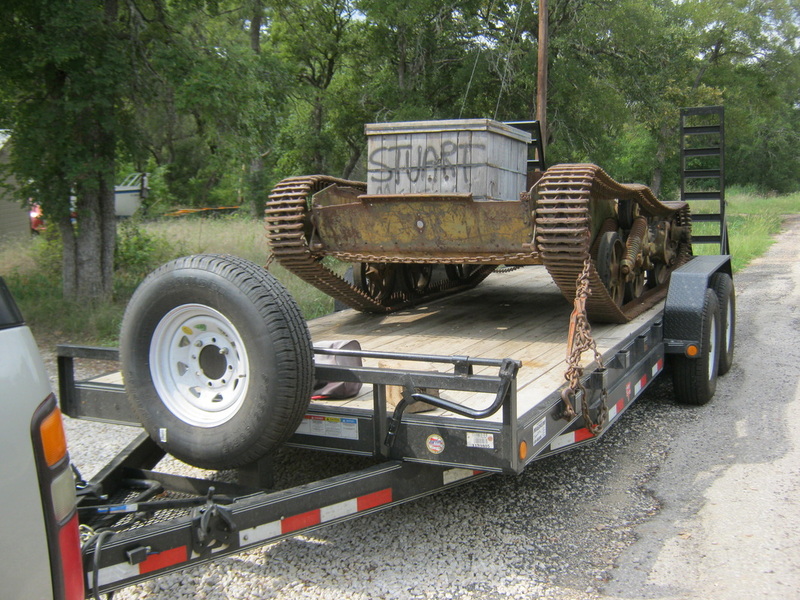 This one was acquired in northern Michigan and is now in Georgetown Texas with its brothers and sisters. To the left and right are photos of our fourth (will there be more???) Universal Carrier Mk 1. The master plan is to make three good carriers mixing and matching parts from the four. 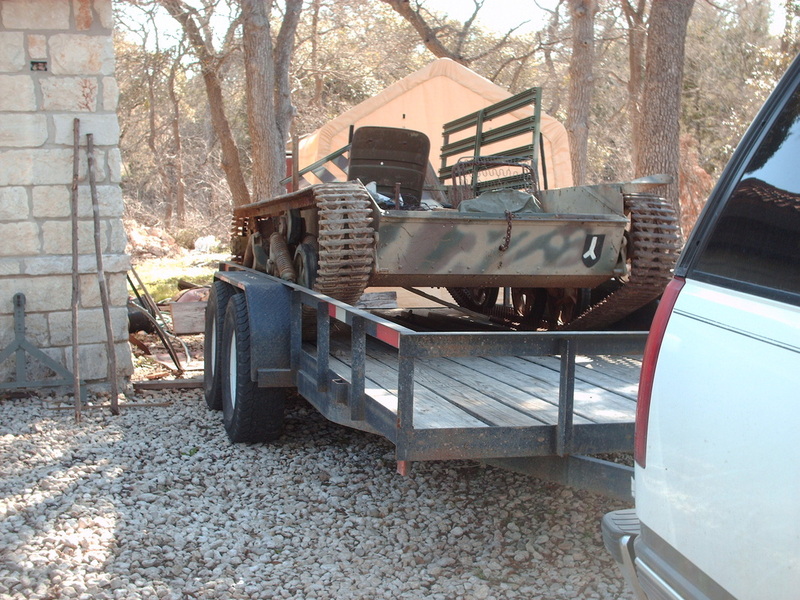 One will be set up as a scout carrier, one as a medium machinegun carrier, and one as a 3" mortar carrier. 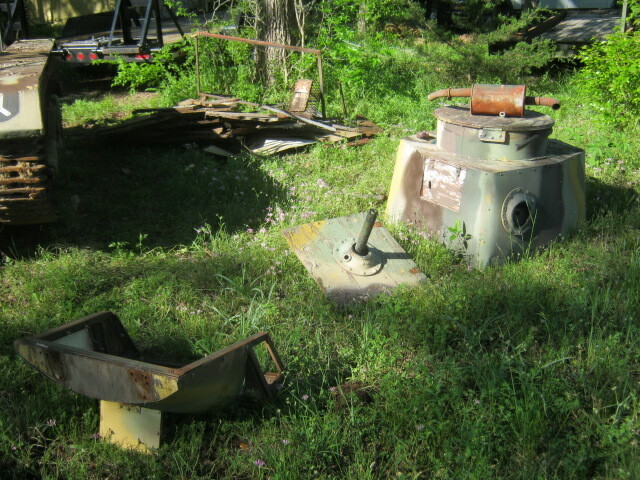 If the left over parts are worthy, we might just make a replica Vickers Light Tank Mk VI b ! 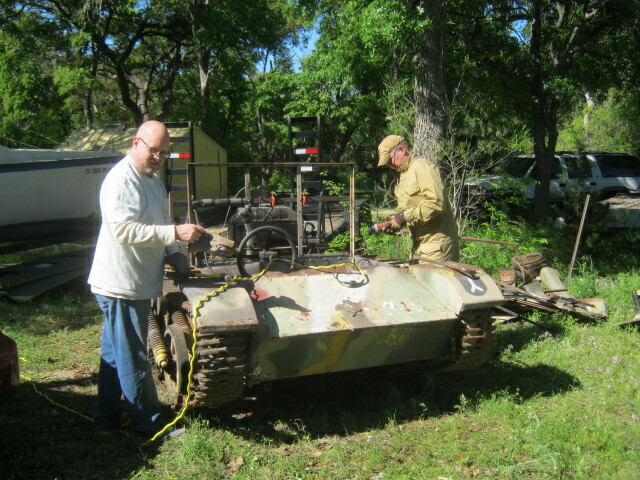 Left - de-Ha Go-ing the "Ha Go" to turn it back into a universal carrier. Right - Ha Go residue. 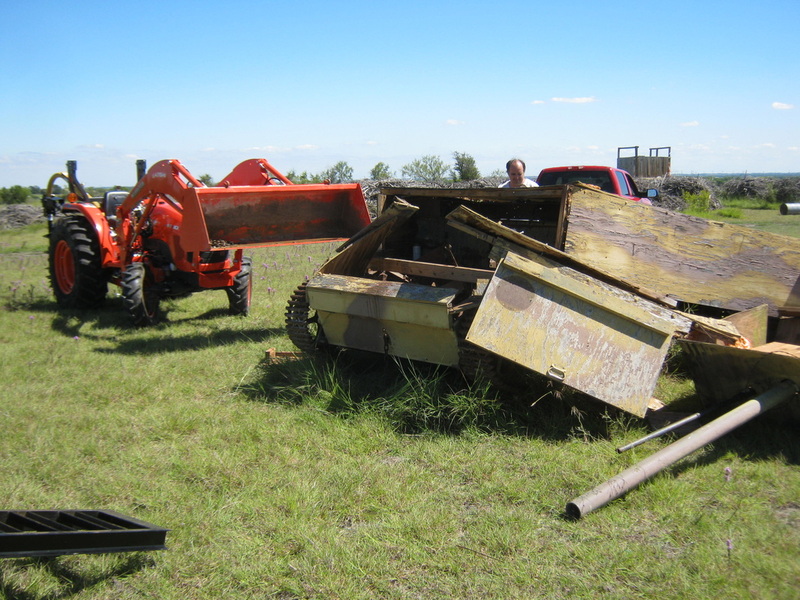 The turret will be saved to make a Japanese bunker for Pacific Theatre/Burma reenactments. 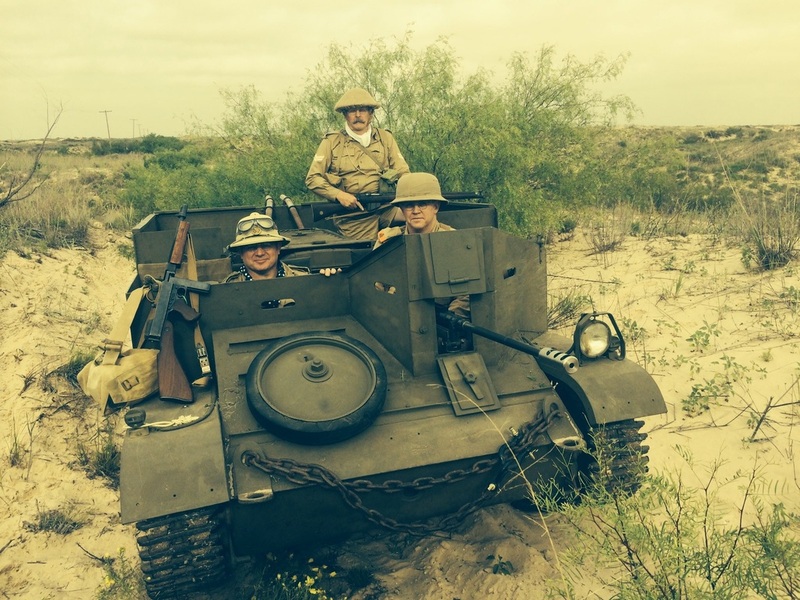 Counterclockwise from left - Members of our club in one of our carriers at a recent "Tobruk" (North Africa WW 2) event. 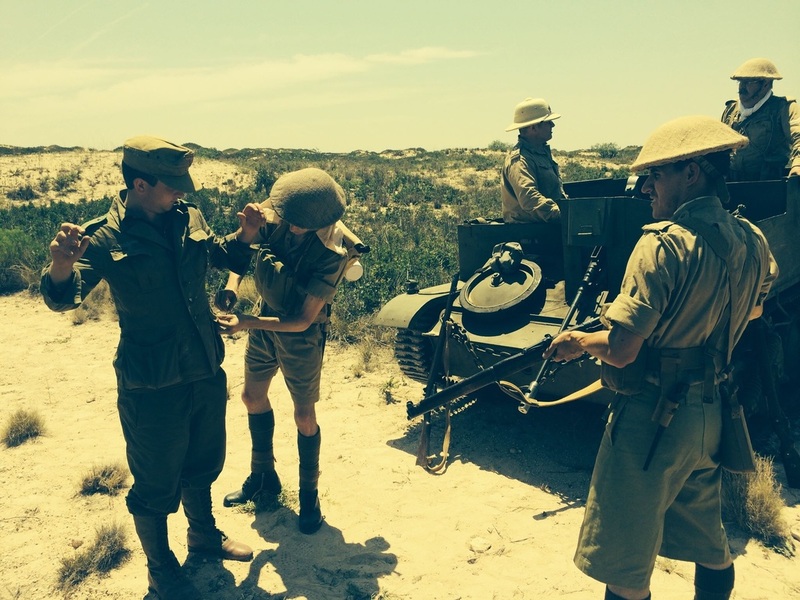 We are portraying South African troops during the battle of Gazala. This link is to "The Visual Collector". 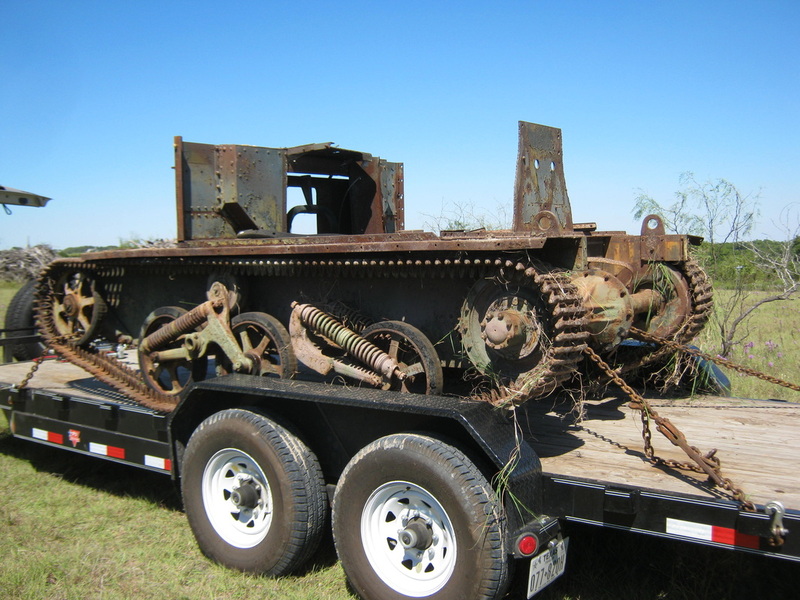 On this website, you can click on a link to photos of the owner, David Gordon's, Fully restored T-16 Universal Carrier. It is truly a work of restoration art, and when ours is done, we can only hope it looks half as good as David's. 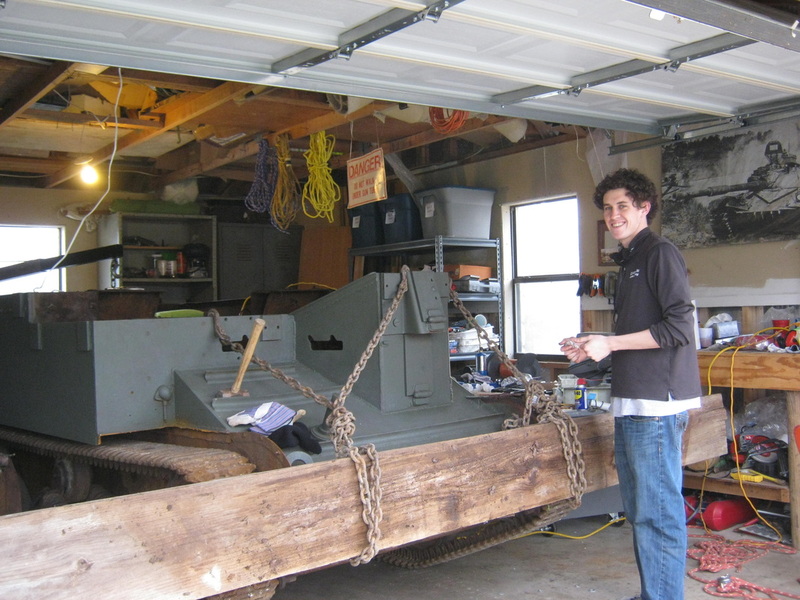 Link to the Wikipedia Universal Carrier web page. 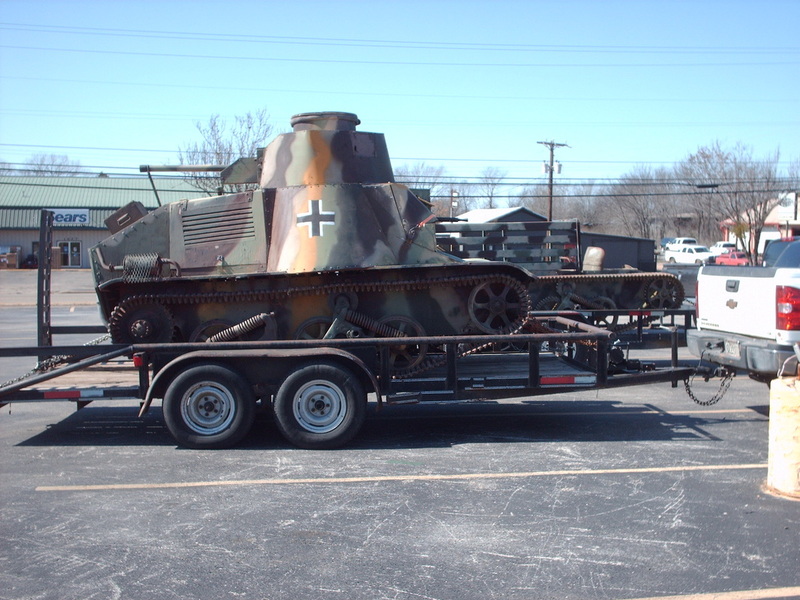 Link to the Resicast website where you can buy a 1/35 scale resin model kit of the T-16 Universal Carrier. 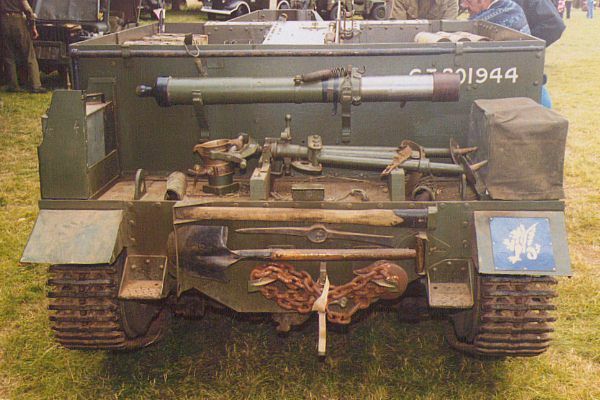 Great link to a universal carrier speeding around a field firing its Bren Gun on youtube. Link to Youtube of the Discovery Channel's program of the "Top Ien Infantry Fighting Vehicles of All Time" segment on the Bren Gun Carrier, voted No. 7 Infantry Fighting Vehicle of all time out of the top 10. Includes footage of a bren gun carrier flying in and driving out from a Hamilcar glider. Link to a cool video clip of a guy hunting a universal carrier with a knive and a crescent wrench in North Africa on a beta test of FH2. Fantastic restoration of Derk Derin in Canada's Mark 1 restoration on Maple Leaf Up. 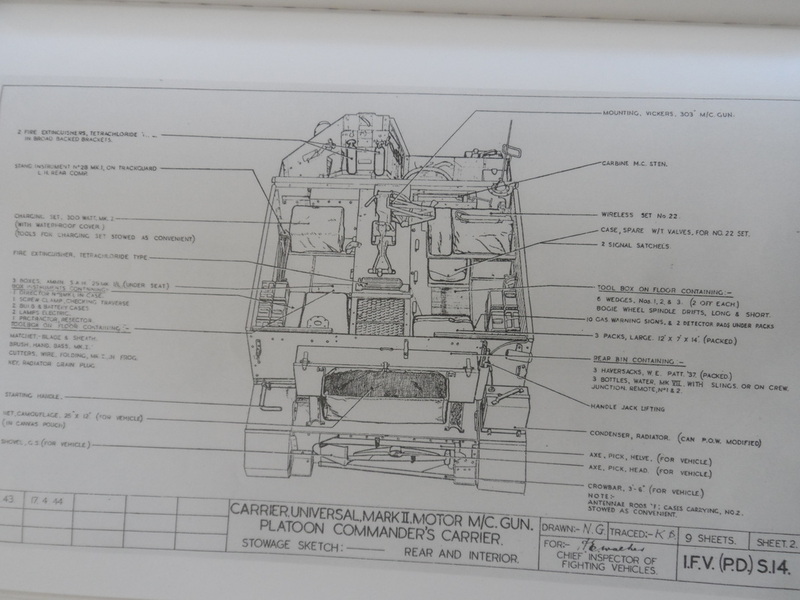 Link to AFV Handbooks where you can buy copies of the manuals for the Universal Carrier. Some really good footage on Youtube of an Australian Universal Carrier running around.